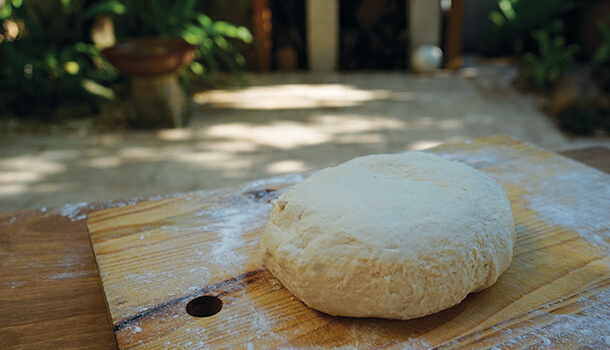 This Neapolitan Pizza Dough can be used to make pizza bases, calzone and also different types of bread. 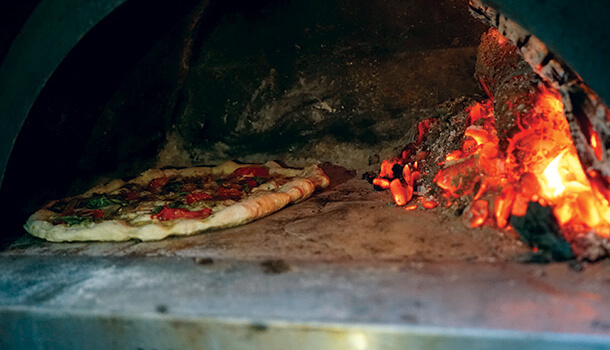 Pizza was born in Naples and Neapolitan Pizza is the Queen of all pizzas. The dough must be kneaded by hand or with a very very low-speed mixer. I love making my Pizza dough using my hand. 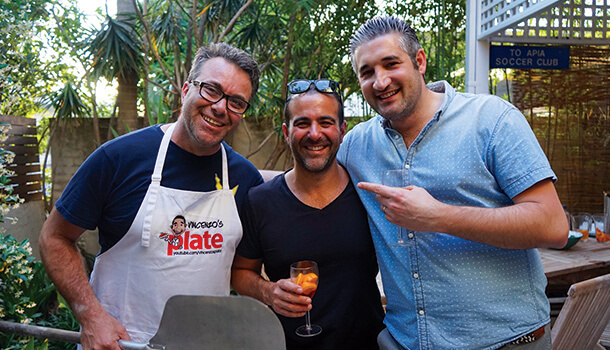 Big thank you to my great friend Enzo Guarino from Casa e Cucina for sharing his family Napoletana Pizza Dough recipe with us. 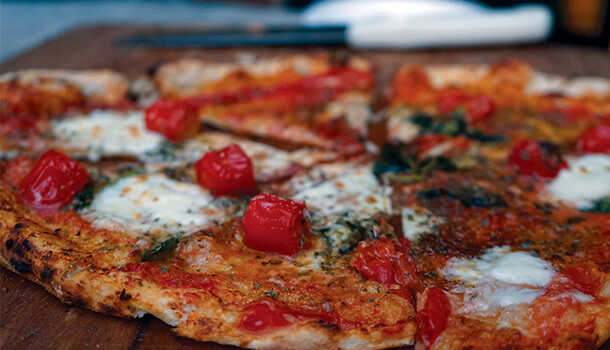 Pizza is perfect for a dinner party. Place 700ml water into your mixing bowl. Continue to mix the yeast in the water with your hand until it dissolves completely. For a touch of seasoning, add 30g of sea salt. Using one hand only once again, mix the ingredients together and remember, don’t squash your dough, mix it!! Start by cupping part of the mixture and turning it back in to the remaining flour while rotating the bowl, bit by bit. This can get pretty technical but have fun mixing and getting to know the dough. If you prefer using a mixer, you can, but I really believe that the best neapolitan pizza dough is made using the traditional mixing method, your hands! Continue to mix it until there is no more flour left and if you have one, try to move it onto the bench. And now? The best part! 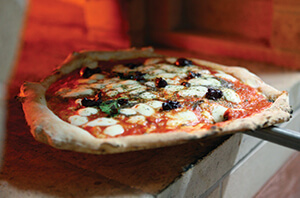 Use your hands and get to know the neapolitan pizza dough!! Your dough will more than likely still be a little too soft, and you know need to now add some of the left over flour. To do this, put some flour and your hands and rub them together on top of the dough. This will help to make the dough dry, get rid of the flour which is stuck to your hands as well as begin to harden the dough. Now, mix your dough using one hand at a time, while it continues to soften. 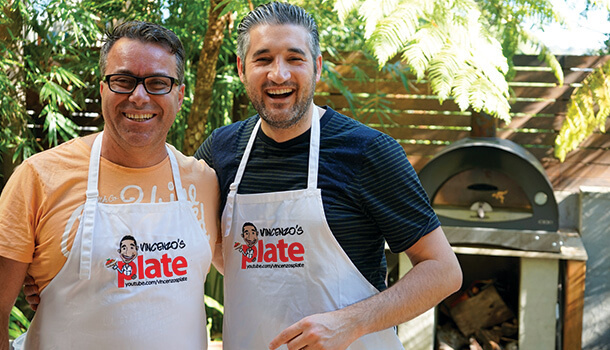 VINCENZO’S PLATE TIP: It is better to avoid using water and to instead just mix more until the neapolitan pizza dough is a touch harder. Its better to keep mixing! Begin to massage the dough, pressing quite hard. You can even punch it if you like! You really want a nice dough that moves with you so keep pressing and make sure there is no air in the dough. Now that it is getting stronger, punch it a little more and it should make the dough nice and hard. By this stage, the dough should have formed into a nice ball and have a pretty smooth texture. To finish the dough, you will need to place it on a large wooden board or even your kitchen bench. It is best to use something wooden as the dough will still be quite sticky and it will get stuck on other materials. Now, using both hands, press down on the dough, one at a time and then with both hands. Repeat this and you will notice that the texture continues to change, it will gradually become smoother and more stretchy. Again, punch it a few times to get the air out – this is why it’s better to use your hands and not a machine – it can even help with stress! Spread some extra virgin olive oil in the bowl, mould the dough into a little ball and place it back in the bowl. Now get your wet tea towel and place it over the top of your bowl which contains the dough. 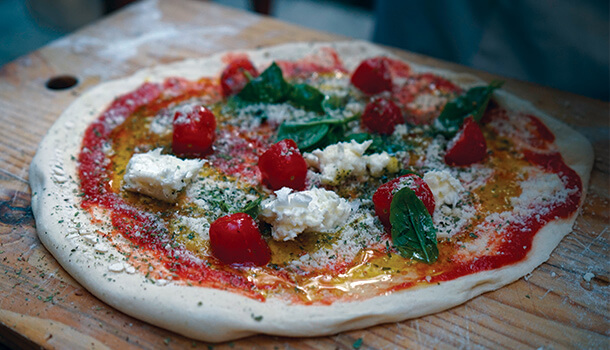 Make sure there are no gaps or holes letting air in, and put this wonderful neapolitan pizza dough it in the fridge (or keep it out of the fridge). The dough should be resting in or out of the fridge (up to you) for around 12-24hr if you want the best results so it’s best to make this at least the day before. 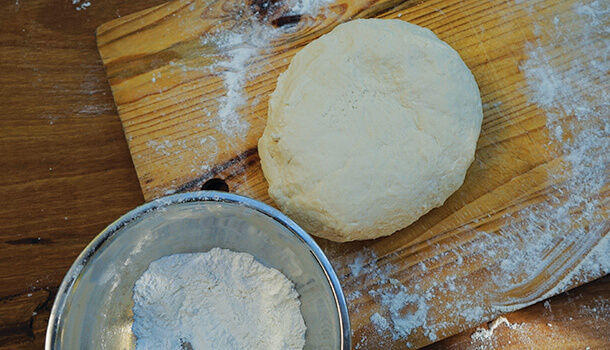 This dough will stay fresh for around a week so you can be creative and make whatever you like! I strongly recommend you to watch the video recipe above. Divide the dough by pulling a chunk off, stretching it slightly, and then rolling it up into small individual balls which should weigh no more than between 230-250g. These should be placed onto a flat tray which has some flour sprinkled at the bottom of it, so that the neapolitan pizza dough does not stick. Then, it should rest for 15 minutes before you roll it out. 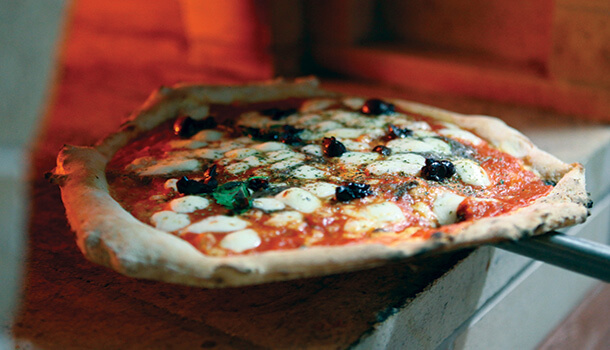 Find one of my “Favourite pizza topping” recipes, for the finest tasting pizza! Divide the dough by pulling a chunk off, stretching it slightly, and then moulding it into a longish, oval-like shape. This should weigh between 400-450grams. This should be placed onto a flat tray which has some flour sprinkled at the bottom of it, so that the dough does not stick.